At the age of 71 years old, our dear mom peacefully passed away on October 24, 2018 at Deer Lodge Centre with her sister Shirley by her side. Mom was born on August 21, 1947 in Gimli, MB. She was one of five siblings who were raised on the homestead near Poplarfield. 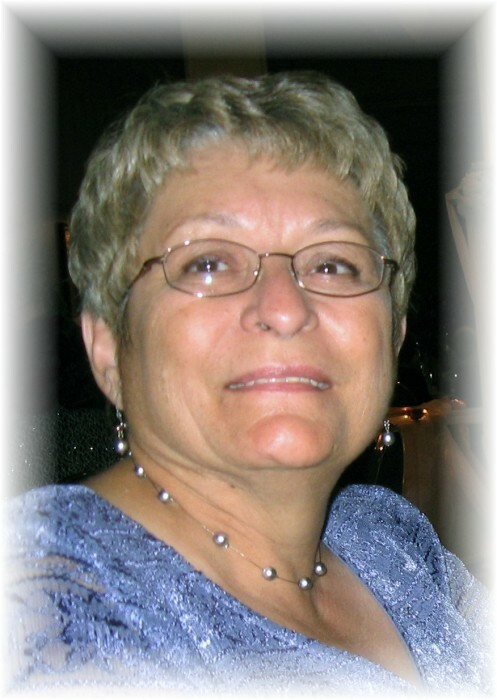 After completing school, she pursued a career in nursing and graduated as an LPN in 1967. After a chance meeting and a whirlwind romance, she married our dad Harry on June 28, 1969 and settled in Dauphin where they worked and raised two children. She went back to school and graduated as an RN in 1986. Mom excelled as an obstetric nurse and she retired in 2004 after many years of working at Dauphin General Hospital. She loved to entertain company, plant flowers, garden, knit, sew, cook, and play bingo. In 2000 she became a proud baba and spent many hours spoiling her grandkids. After dad’s passing in 2016 she moved to Winnipeg to her daughter’s home and eventually to her own assisted living apartment. Joyce is survived by her son Darryl (Tannis) Chudobiak, and grandchildren Davada and Kyle of Okotoks, AB; her daughter Karen Chudobiak of Winnipeg, MB; her brothers Ron (Marilyn) and Wayne (Vicky), and sister Shirley (Larry); her in-laws Bill, Mary (Roy) Anderson, Helen (Will) Trakalo, Metro (Diane), Nick (Darlene), Rose (Bob) Buck, Steve, Peter (Rose), and Michael (Judy); and many nieces and nephews. Joyce is predeceased by her parents Mike and Mary (Tycholis) Shott, brother Ernie, nephew Glenn, niece Cheryl; parents-in-law Mike and Anne (Juzwishyn) Chudobiak; brothers-in-law Dennis and John; sisters-in-law Lila and Mary. A heartfelt thank you to Dr. Henry and Chronic Care staff at Deer Lodge Centre; Shirley for being by Joyce's side at her passing; Jane and staff at Korban Funeral Chapel and Sneath-Strilchuk for their patience and support; Fr. Wilson and Fr. Kuzyk for officiating the funeral services. A special thank you to all friends and family for their love and support during this time. Memorial Service will be held in Winnipeg, MB at 11:00 am on Wednesday, October 31, 2018 at Korban Funeral Chapel, 907 Main St., with Fr. Kelly Wilson officiating; and in Dauphin, MB at 11:00 am on Friday, November 2, 2018 at the Sneath-Strilchuk Family Care Centre on Riverside Rd. with Fr. Brent Kuzyk officiating. Interment will follow at Riverside Cemetery in Dauphin, Manitoba. In lieu of flowers, donations can be made to Deer Lodge Centre Foundation or a charity of one’s choice.